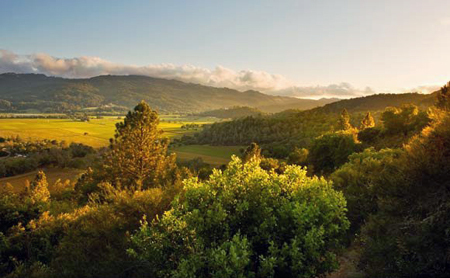 Just a short drive from San Francisco, NAPA VALLEY is America’s most visited wine region. Northern Californians escape to the valley for perfect weekends, but NAPA is a also a major destination for wine lovers and foodies from around the world. For the fashion and design lovers, a stroll down Main Street in St. Helena is a must for the plethora of antique and fashion boutiques like Amelia Claire, Flats, Pearl Wonderful Clothing, and Martin Showroom. And foodies should pop by Model Bakery, Woodhouse Chocolate, Napa Valley Olive Oil and Oxbow Market. Napa has over 120 wineries, some of my favorite tours + tastings for newbies: Alpha Omega, Cade, Domaine Carneros, Domaine Chandon, Rudd and Schramsberg. For exclusive small batch wines, schedule a private tasting with Monica Stevens. Food lovers will enjoy a guided tour, cooking demonstrations, and the marketplace. This wine collective showcases art by San Francisco artists and special tastings. 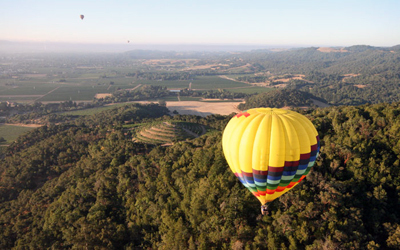 For adventure, schedule a hot-air balloon ride for incredible views of the valley. After all the eating and drinking, rent a bike or take a guided tour of the valley. Breakfast, lunch or dinner, it’s all delicious. Chef’s choice menu family style in a casual setting courtesy of Thomas Keller. Thomas Keller’s bistro is always crowded, but his food rivals the best in Paris. This wine bar offers 40 wines by the glass from around the world. The titan of the U.S. culinary world courtesy of Thomas Keller. Read my review here. Inventive American comfort food. Grab a seat on the patio. Classic hamburger stand with the most delicious everything. Plan to wait. Great sushi, great cocktails, and one of the most happening spots in Napa at night. See-and-be-seen setting with creative menu by Richard Reddington. If it looks like a Houston’s, tastes like a Houston’s….it’s a Houston’s! 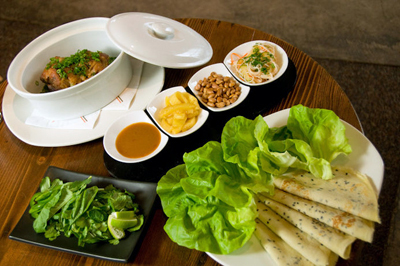 Hiro Sone’s New American cuisine with touches of international flair. Napa Valley consists of several small country towns and there are hotels in each one at varying price points. Be sure to check hotel websites for special rates and packages. Exclusive getaway with beautiful lodges nestled in the hills. 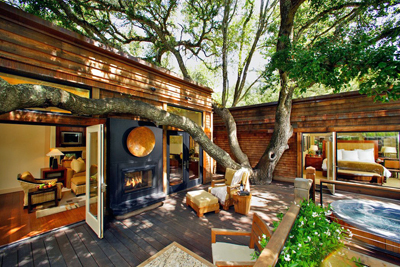 Classic, refined, and considered the best resort in Napa. One of the first Leed certified platinum “green” hotels, but service can be uneven. Unique boutique concept courtesy of Chef Charlie Palmer. If you’re planning an extended stay, why not rent a home? Nestled above the Cliff Lede Vineyards is this truly romantic hotel.